Press .Ctrl+⇧ Shift+C while the game is running. 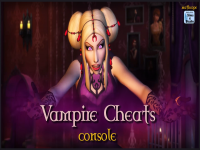 This will open a small window, called the "console," where you'll be able to enter your cheats. This keyboard shortcut is the same for all versions of The Sims for Windows andMac. If you're playing on a Mac, make sure you use the Control key, and not the ⌘ Command key. 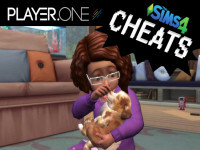 Type the cheat you want to use. 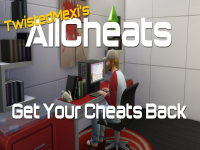 Once the console screen is open, you can type the cheat you want to use and press ↵ Enter or ⏎ Return. This will run the cheat. 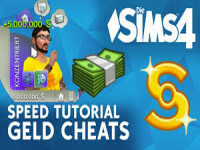 For a rundown on some basic cheats for all versions, see the PC and Mac Cheats section below. Try pressing .Ctrl+⊞ Win+⇧ Shift+C (PC only). If you can't get Ctrl+⇧ Shift+C to work on your Windows computer, try Ctrl+⊞ Win+⇧ Shift+C. 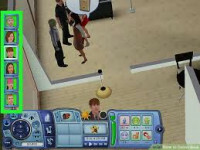 This is usually caused by another program, such as a screen recording program, that takes over the usual cheat console shortcut. Try using the other .Ctrl key. If you can't get the shortcut to work with the left Ctrlkey, try using the one on the right side of the keyboard. Plug in another keyboard. Sometimes something goes wrong with the Ctrl key on the keyboard, and plugging in a different one can help solve the problem. Plug in a USB keyboard and try using it to enter the shortcut. This solution works most often with MacBook laptops. Windows - Open the Control Panel and select "Language." Click the "Advanced settings" link and then click the drop-down menu in the "Override for default input method." Select a Latin-based input method such as English. Mac - Click the Apple menu and select "System Preferences." Select "Keyboard" and then click "Input Sources." Click the "+" button and then add a Latin-based input source, such as English. You can then switch between input sources by clicking the flag button in the Mac menu bar.